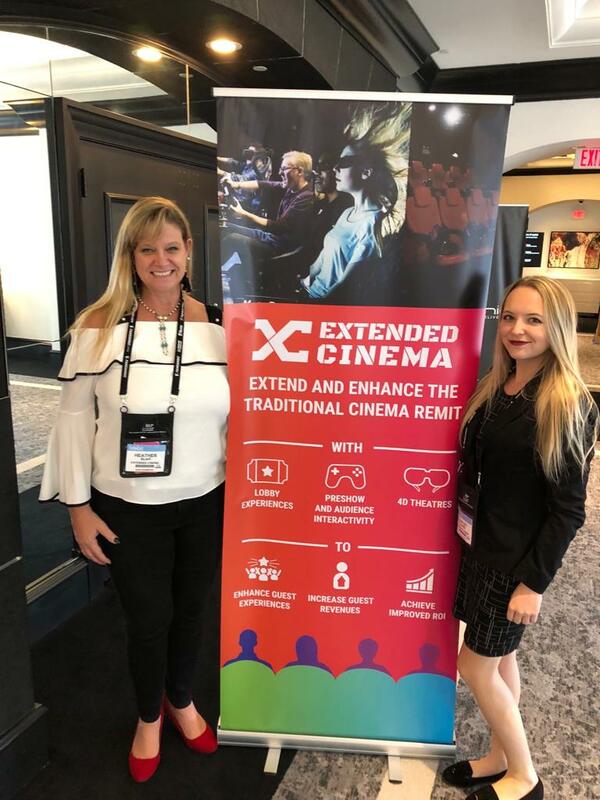 Orlando, Florida (November 25, 2018) – Experience designers Holovis has launched new division Extended Cinema to drive the development of a new out-of-home, location-based entertainment category. Extended Cinema promises to reinvigorate cinema as a destination asset for operators by extending and enhancing the guest experience with lobby entertainment solutions, pre-shows, interactive gaming and 4D theatres. Through a truly connected eco-system in cinemas, this new approach helps drive additional revenue streams, repeat visits and delivers enhanced opportunities for operators and sponsors. The new venture is being headed up by Heather Blair with the experience design and unique products from Holovis. Heather’s career spans three decades in the entertainment industry, holding director level positions within publishing, sales and marketing. Prior to joining the Extended Cinema division, Heather has focused on developing products and opportunities within the interactive technology and motion theatre market. This included working with major film studios to procure titles to be programmed for 4D, then theatre chains to bring them to life as a premium offering. “The experience economy is now the driving force of modern businesses so for theatres to remain competitive as entertainment destinations they need to evolve. We are here to help them do just that, providing solutions that drive audience engagement before, during and after the movie, enhancing guest experiences and creating additional revenue streams. “We are unveiling specific product lines but can also work on a bespoke basis with cinemas, addressing their specific needs and developing unique solutions accordingly. “With the support of Holovis, Extended Cinema has a global resource at its finger tips to create these amazing new solutions, with a unique and multidisciplined team providing a full turnkey service, from media and content creation through to software configuration, motion profiling and engineering design and delivery.